The Dow chemical plant along the Brazos River in Freeport, Texas. Editor’s note: This story was updated on Feb. 22 with a response from the Texas Commission on Environmental Quality. That means some cities, power generators or others with more “junior” river rights would need to pay up or go thirsty when severe drought strikes. The Texas Farm Bureau, which challenged a Texas Commission on Environmental Quality policy giving cities preferential treatment in certain water skirmishes, hailed the Supreme Court’s decision to leave in place an April 2015 decision from the 13th Court of Appeals in Corpus Christi. “Serious impacts to public health and safety may result if other adequate sources of water are not available,” Clawson said. Texas is not currently grappling with severe drought, but the ruling could have major implications the next time those conditions strike. The case — set in motion after Dow Chemical asserted its rights to Brazos River water — centered on whether Texas regulators may grant exceptions to the state’s longstanding “first-in-line, first-in-time” surface water rights regime. The giant chemical manufacturer is by far the largest water user on the Brazos, which also supplies farmers and ranchers, cities and other industries along its 900-mile stretch from northwest Texas to the Gulf Coast. It also holds the oldest water rights, giving the company priority over all others. Dow first set up shop in Freeport in 1940 to extract magnesium from seawater. 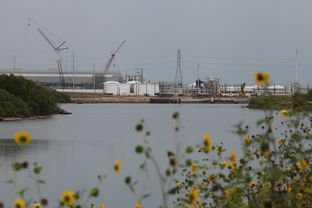 Since then, its Gulf Coast operations have grown rapidly, and the Brazos supplies the company with the 100,000 gallons of freshwater per minute it needs to operate. But years of drought and rapid growth along the river have, at times, strained the river’s supplies. In mid-2009, the Brazos was flowing at just 50 cubic feet per second, less than half the speed required for Dow’s smallest pump to pull the water the company needed out of the river — an unprecedented condition. Dow issued a series of priority calls beginning in 2009 asserting its “senior” right to divert water from the Brazos River — and force “junior” water rights holders to curtail their use. It was the first time the TCEQ had received such a request, and it took the agency weeks to respond. Dow had the right. But by the time the TCEQ determined it several weeks later, the company said it was too late. Junior water rights were suspended that summer, cutting off mostly farmers and ranchers from using about 46 billion gallons of water, but no additional water flowed down to Dow’s pumps. Dow argued that by law, the TCEQ should have cut off even more water users than it did; in the interest of public health and safety, the agency elected not to force junior users like municipalities and power plants to cut back. In 2012, the agency formally adopted new drought rules giving priority to those junior users. The Farm Bureau agreed with Dow and sued the state. A Travis County district judge ruled in its favor in June 2013. In its appeal, TCEQ argued that the judge misinterpreted the law that authorized the agency rules, and said the agency has the authority to police public health and safety. The Corpus Christi court disagreed. There are other ways of dealing with river disputes than priority calls, which are considered a last-ditch option. For instance, the state in 2014 appointed a water master to the lower Brazos basin — someone to interact daily with river users like farmers and manufacturers and require them to report their water use in real time. That move also proved controversial.